Traveling can teach you a lot if you choose to let it. When we sit at home and open the news, you often get a heavily skewed view of a country. People use the media as a source of credible information. While these outlets can be informative, they can also provide a lot of misinformation. This is true for many countries, including my home country, the United States. American society taught me to fear any place that isn’t as “developed” or “stable” as America, yet when I visited my mother’s rural hometown in Jamaica, it taught me that the “developing world” isn’t so bad and that many Americans need to take a chill pill on certain things. Of the countries I’ve visited, some people were surprised to hear how positive my experience was because they heard something terrible about the place on the news. While every country has its problems, it doesn’t mean that the whole country is like that and that safety is impossible. Being a first generation American and having a lot of childhood friends that were also first generation Americans, learning about different cultures sparked my interest. In the fifth grade, I did a research project on the US state Montana, and it was so surprising to learn how different this place was compared to New Jersey, my home state, and much of the states on the East Coast that I’ve visited. When I visited the state in 2014 as a late 21st birthday trip, it was refreshing to experience everything in person. In the seventh grade, my school had something called “Heritage Week”. In history class, we had an assignment where we had to present our family tree and talk about where our family came from and how we ended up there in my small suburban town in New Jersey. It was interesting to hear everyone’s stories. It was fun to get a taste of home cooked foods that originated from various countries like Ghana, India, Japan, Ireland, Italy, Cuba, Mexico, Jordan and more. I felt proud of myself for being more open minded because I was a super picky eater back in the day. In return, it was nice to see my classmates eat the Jamaican food that my mom brought. 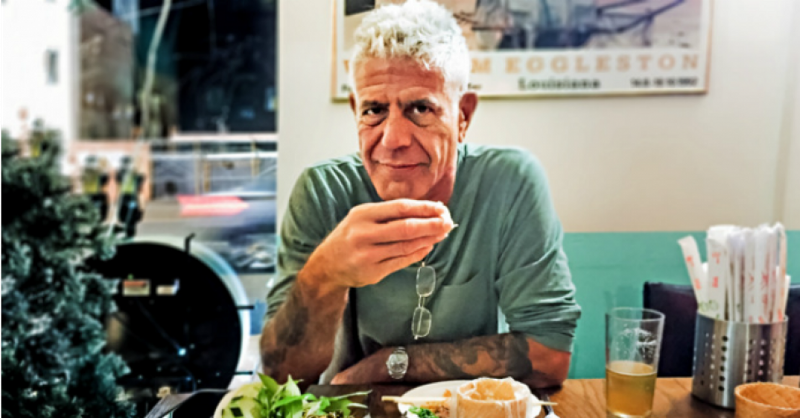 When I got older I came across, the TV show Parts Unknown, where Anthony Bourdain visited various international destinations, often in cities that normally do not receive a lot of tourist traffic. It was great to get a glimpse of a country without some sort of motive or political agenda. He just showed what we he saw and shared the stories of the local people as he broke bread with them over a dinner table. His storytelling opened the viewers’ eyes of a country by making them see a view that they never would see from mainstream media. He has inspired many people to step outside of their comfort zones and immerse themselves in a new culture. Many travel enthusiasts view him as a role model and someone they aspire to be. I countlessly thank Anthony Bourdain for inspiring viewers to not be afraid outside of their borders and for showing us that many people around the world are generally good even if their government leaders are not. We often look at famous people on television or influencers on social media and automatically assume that they are living “the life.” We often equate money, fame, and success to having all of your problems disappearing into thin air. Many people were shocked to hear of Bourdain’s passing because he committed suicide and because of his achievements and number of people he impacted around the world. Travel is great, but it’s not always as glamorous as what you see on Instagram nor does it fix all of your problems. It usually exposes them. I always try to be super transparent about that because there hasn’t been enough of that in the social media world. While seeing the world learning about different cultures and tasting interesting cuisine are really cool things, it is not the end all be all. It’s not guaranteed that it leads you to self-actualization. Despite the happy images we share to the public, we really never know what haunts someone on the inside. I won’t speculate on what caused him to take his own life, I’m far from qualified to have all of the answers and there are many reasons as to why one would do such a thing. I just want to reiterate that we should be careful on whose lives we envy because we really don’t know what that person is dealing with on the inside. It’s sad to hear that it happened to someone that I really admired. I thank you Anthony for your contributions and your legacy shall live on.